With a population of eight million people, Israel has made a name for itself as the Silicon Valley for tech start-ups. An innovator in the tech field, Israel has over 6000 start-ups in operation and attracts more venture capital per person that any other country in the world. Private equity brokers including Blackstone, SilverLake, KKR, Apax Partners, TPG, JPMorgan and Morgan Stanley, have swarmed to the country in recent years writing up some large sum cheques to get in on the action. The Chinese are also moving in on the scene by joining Israeli VC funds as limited partners as well as investing directly into the start-ups themselves. Despite the vast sums of money being thrown around, a Business Insider investigation into the industry found that many Israeli start-ups were turning down US$1-30 million offers in the hopes of becoming the next big thing. In 2015, 104 Israeli start-ups were sold for a total of US$9 billion...that averages to $86.5 million for each company sold. So how did the Israelis build such a strong start-up scene? In 2011 the Israeli government introduced tax breaks for Israeli and foreign investors in Israeli tech firms. The change in legislation saw investors move money into the sector to write off costs on investment for tax purposes, helping lay the fertile soil for the current start-ups to sprout from. As a result there are now over 300 R&D centres of leading tech companies including the likes of Google, Microsoft, Facebook and HP operating in Israel. Through the site users are also able to search and apply for jobs, find out about upcoming events, look for investment opportunities and contact relevant start-ups directly – making it easier to link relevant stakeholders and connect people in the scene. Another website called ‘Founded in Israel’ lists just some of the many prominent companies that were founded in the vibrant Israeli start-up scene. Two market leading online advertising and content discovery platforms used by many of the largest sites in the world. A free website builder without the need for coding skills. Easy to customize. An instant messaging and VoIP app for various mobile operating systems. Users can also exchange images, video and audio media messages. A cheap way to get odd jobs done like logo design, marketing services, whiteboards and more, starting from only $5. A marketplace to buy gift cars from leading brands and retailers at discounted rates. Users can also sell their gift cards over the online market place. An in the field itinerary management and mobile travel service. 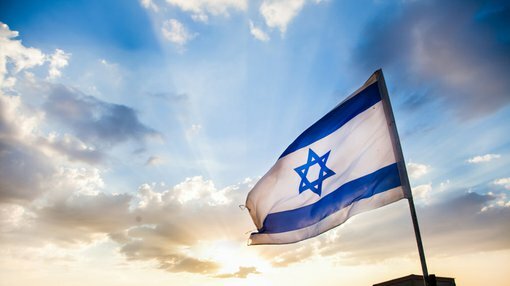 There’s no doubt about it, the Israeli start-up scene is hot, but which country will be next to step it up in the tech space? With Australia’s commodity boom drying out it may be time for the once natural resource dominant economy to start looking at other industries it can dominate. Perhaps by taking a leaf out of the book of the Israelis and investing in a future based on tech.